Kim Richards pit bull is vicious and dangerous, with a history of biting people — and Animal Services KNOWS about it — yet the most recent attack this weekend against Kyle Richard‘s daughter will not even be investigated unless the victim or a family member complains. TMZ broke the story … 18-year-old Alexia was in Kim's L.A. area home Saturday when the animal attacked without warning, biting her so badly she needed 2 surgeries. Turns out the dog is no stranger to the L.A. Dept. of Animal Services … the agency went to Kim's house after the dog attacked another person over the summer. Officials warned Kim to keep the dog under control but took no further action. Well clearly the dog was not under control. But Animal Services tells us … they will not take further action unless they get a complaint from the victim or her family. That's tricky, because that would mean Alexia, Kyle or other members of their brood would have to blow the whistle on Kim. And get this … we're told of a third attack that occurred in March. 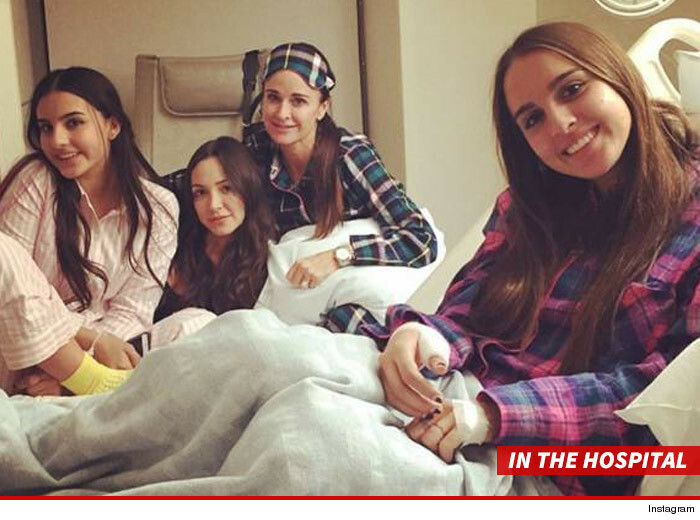 One of Kim's friend was sitting on Kim's bed and the dog bit through her arm to the bone. Paramedics were called to treat the victim. And there's a 4th incident involving a trainer who was bit. To top it off we're told the dog has been extremely aggressive toward other animals. IF someone comes forward and makes a formal complaint, Animal Services will hold a hearing to determine if the pit bull should stay under Kim's care, or if it should be destroyed.